This is part II of our blog series on how the integration of Dexalytics can help with your current workflow. In part I, we pointed out some of the fundamental differences between Dexalytics and a simple spreadsheet. In part II, we highlight a few scenarios we have come across and how we have implemented a solution to help. Scenario 1: Getting DXA data into a usable format and limiting input errors. Our first question is usually, “How are you getting your DXA data into the spreadsheet?” In some cases, people are manually entering the data from the hard copy machine reports into a spreadsheet. Not only does that have to take a tremendous amount of time, but it also increases the likelihood of input errors that will need to be corrected later on. All DXA scanners have software that exports the data. With Dexalytics, we import those exported files directly into our system and the data is immediately available for each athlete. Time is a factor for all organizations and quickly having access to data to make better decisions can be a distinct advantage. Most importantly, by importing the data directly from the DXA, you limit the potential for errors. Scenario 2: We import our data into our Athlete Management System. Athlete Management Systems or AMS have become more widespread in sport. They are a wonderful way to bring in all the data a team collects on its players. However, in most cases, these systems end up just being convenient places to store data. They do not necessarily analyze, alert or identify issues with athletes. Some have those abilities, but it requires time to create that information and that can become a never-ending rabbit hole. Often times though, there are limitations to what can be done within an AMS and you become reliant on the company if you want to take a deep dive into the data. 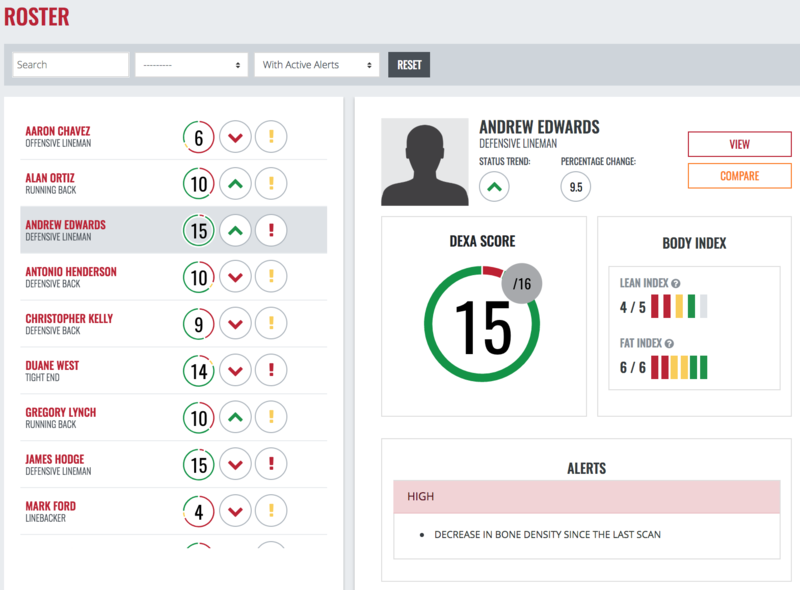 We designed Dexalytics to fit perfectly with a team’s AMS. We have an API (application programmable interface) that will allow a team to still push the high-level information wanted to the AMS system, but at the same time, do a deep dive into the information within Dexalytics. This allows a team to still integrate the DXA data with other data (i.e., force profiles, load profiles), but still have the wealth of regional data and functional ratios our Dexalytics software provides. When working with teams that have an AMS, we work with them to identify the data they are using or need in their AMS while providing insight into how we use DXA data to add more information to force, load and other player profiles. Scenario 3: We are just looking at the change report and tracking data from the reports for each player. This can be a common scenario and is often a time issue. People either do not have the time to put the data into a spreadsheet or have limited time with the athlete to review the data. Often because of this lack of time, these reports generally tend to focus on total changes, (i.e. % fat and total lean mass) and then miss some of the details that can be important. 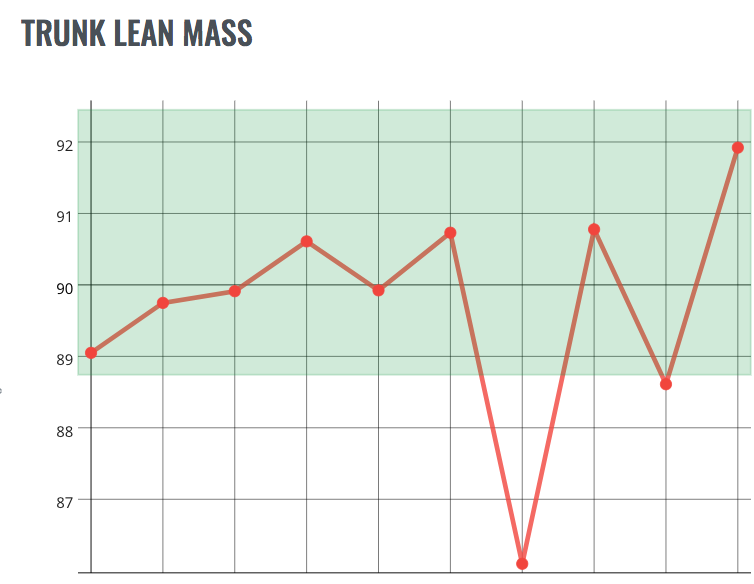 Understanding where body lean mass increased or where fat mass was lost can determine if the athlete responded to implemented training and nutrition plans. Moreover, as more scans are completed, having the ability to look at the change from a year ago or longer may be more insightful than the scan-to-scan changes. How have their functional ratios changed (ex. 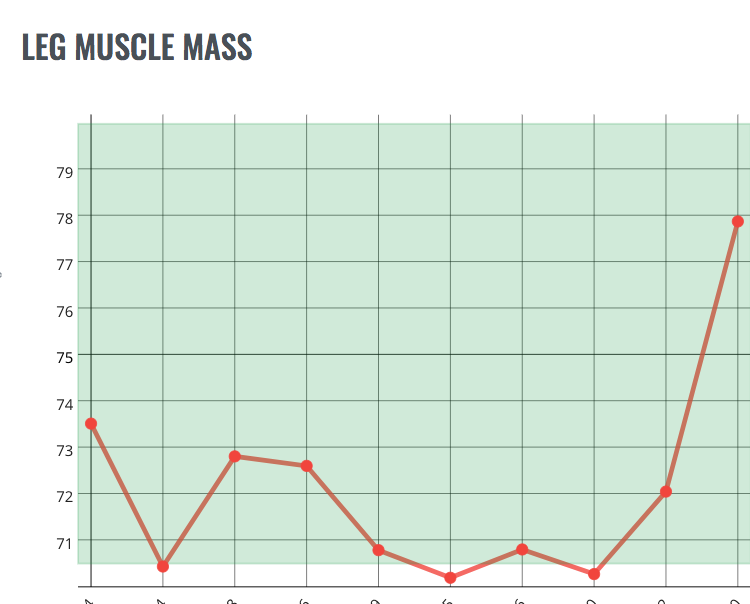 Upper:Lower lean mass ratio)? Are any individual asymmetries within that individual’s normal range (i.e. if they are always right leg dominant are they still)? How has their bone density changed? We hope this two-part blog series has opened new possibilities on how to explore body composition and performance data. In addition, we hope this two-part blog series offered possible solutions to getting the most out of your body composition data. About the Authors: Donald Dengel, Ph.D., is a Professor in the School of Kinesiology at the University of Minnesota and is a co-founder of Dexalytics. He serves as the Director of the Laboratory of Integrative Human Physiology, which provides clinical vascular, metabolic, exercise and body composition testing for researchers across the University of Minnesota. Tyler Bosch, PhD is a Research Scientist in the College of Education and Human Development at the University of Minnesota, and is a co-founder of Dexalytics.